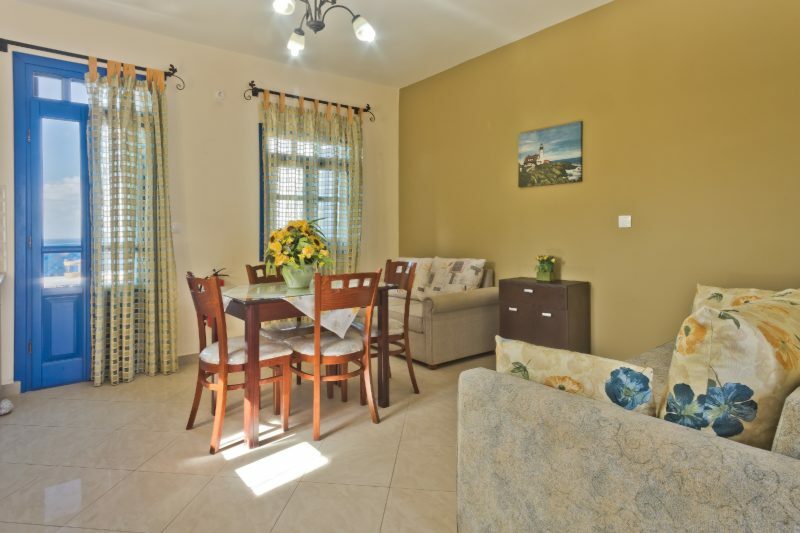 They are built according to the modern comforts combined harmonically with the special characteristics of a traditional house in which they belong to. 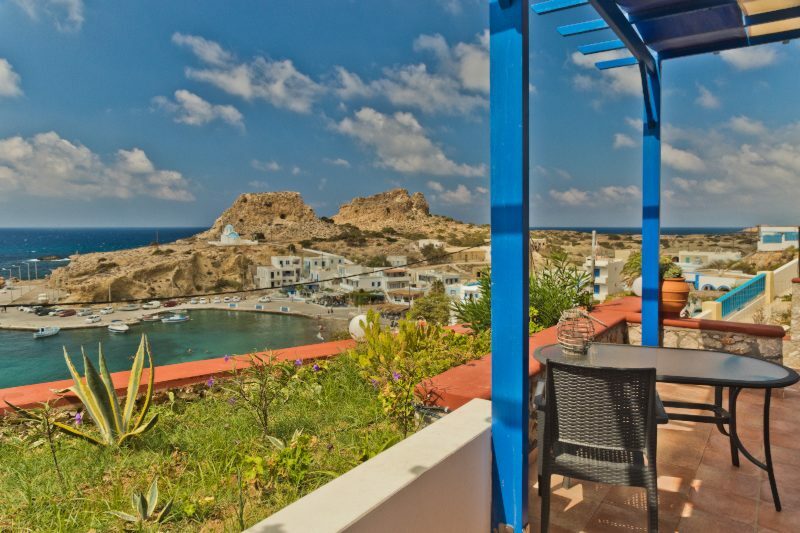 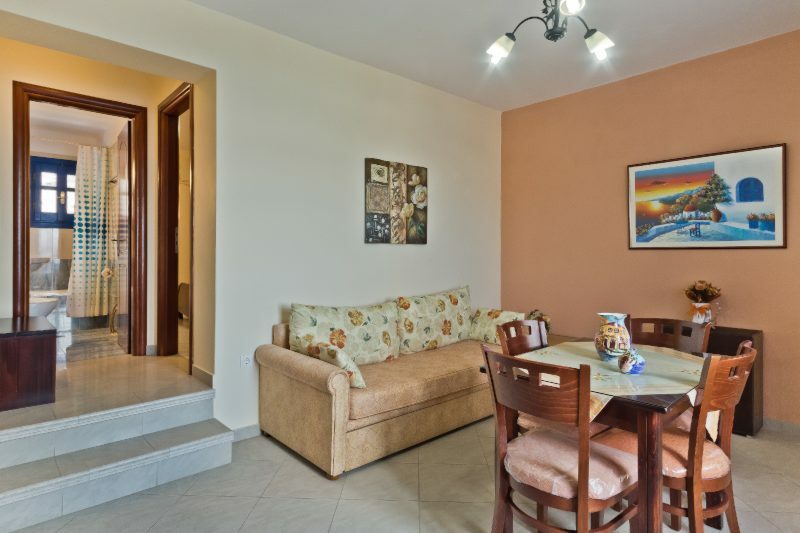 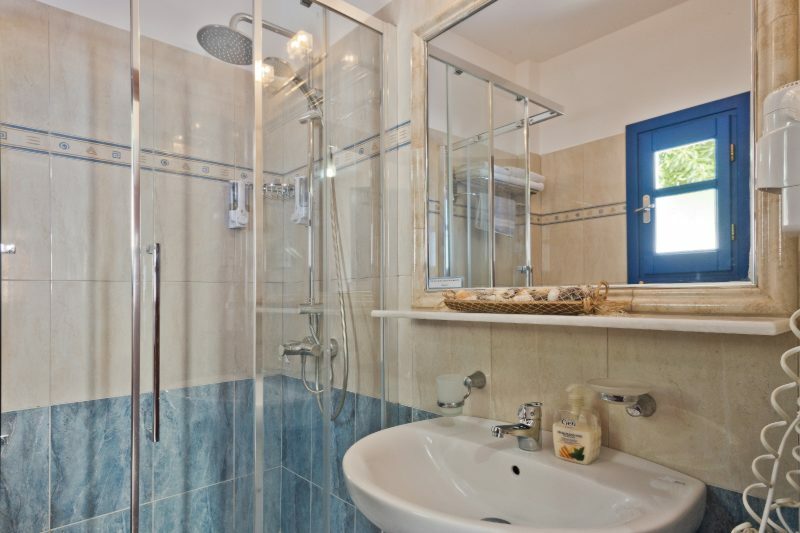 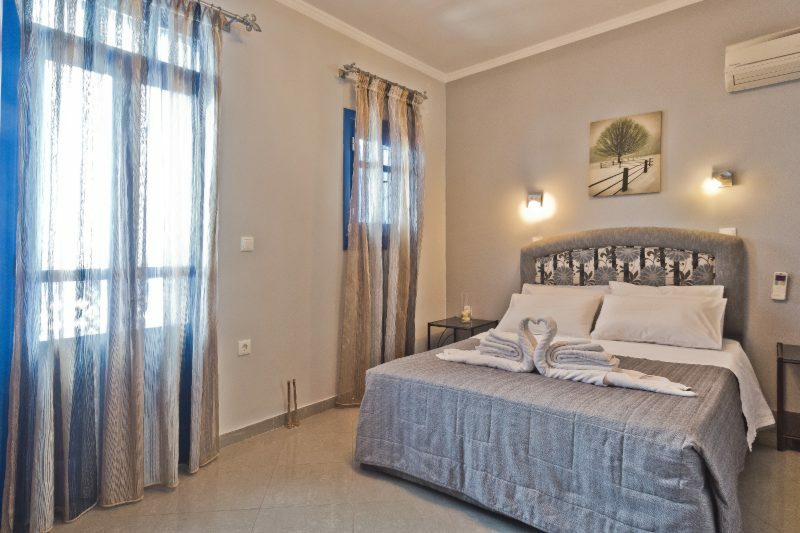 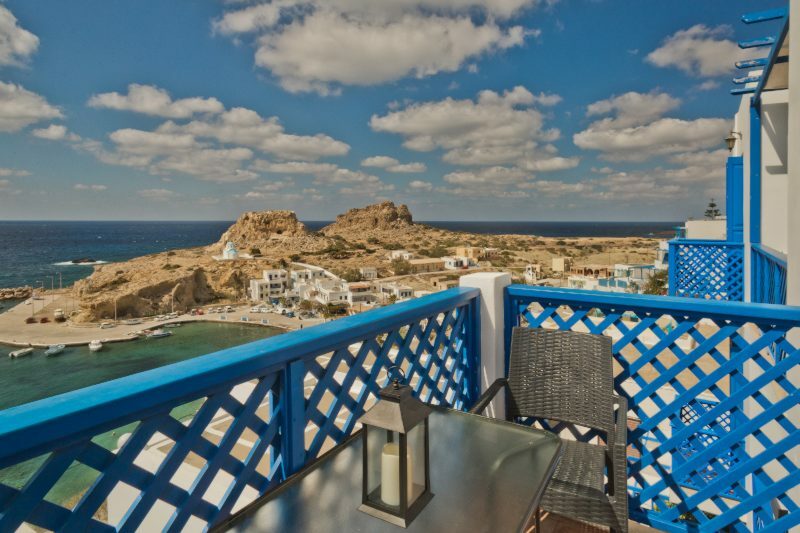 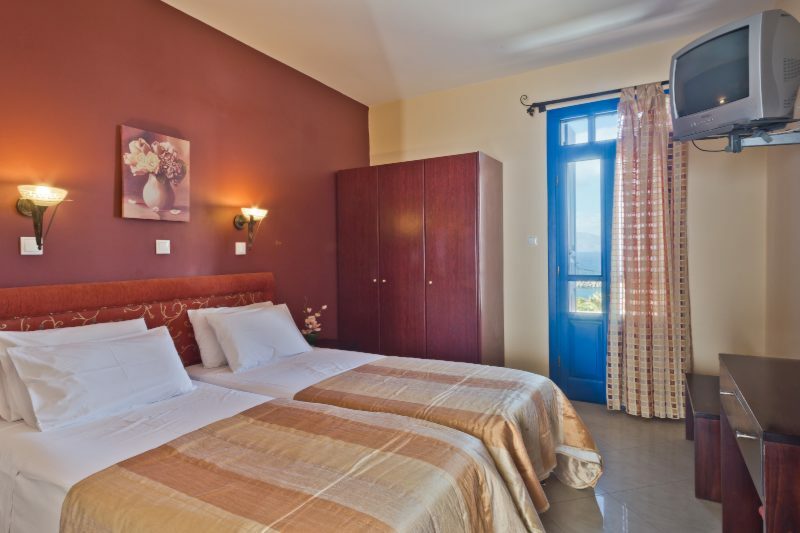 The apartments are individual, roomy (50 sq.meters each) and from the balconies anyone can enjoy the excellent view of the blue sea, the traditional small seaport, the beach and the small church of Agios Nikolaos combined with the most beautiful sunset of the island. 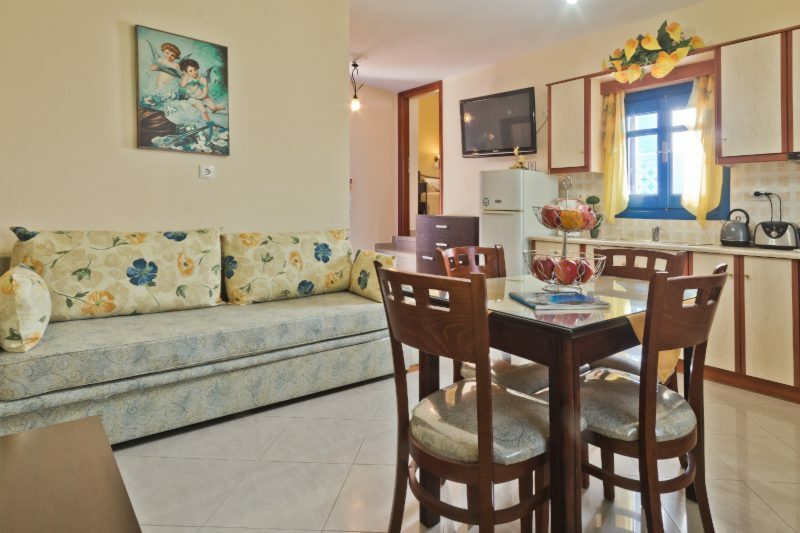 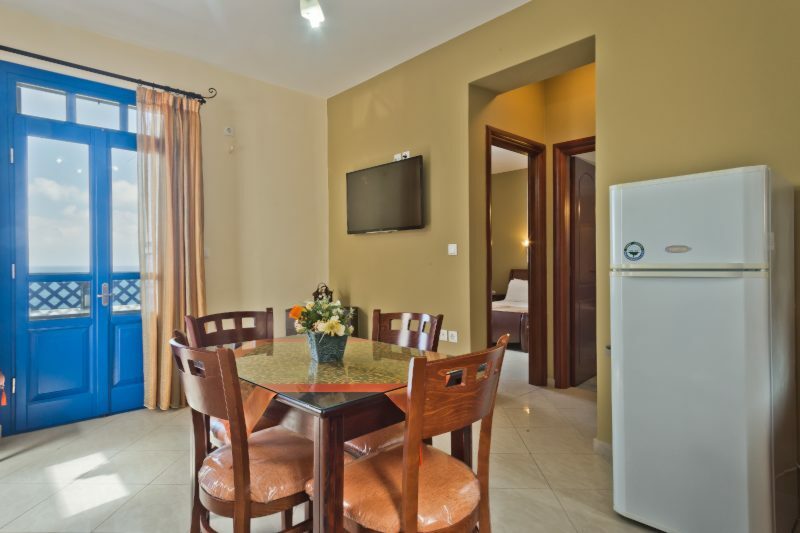 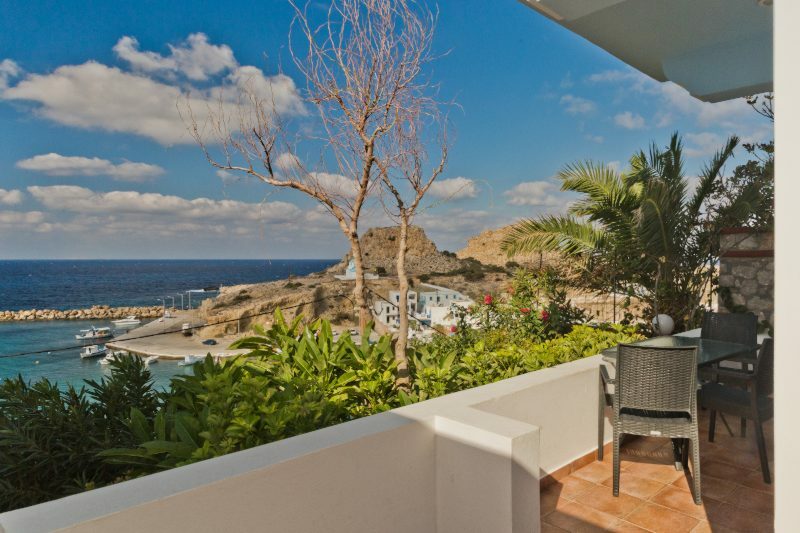 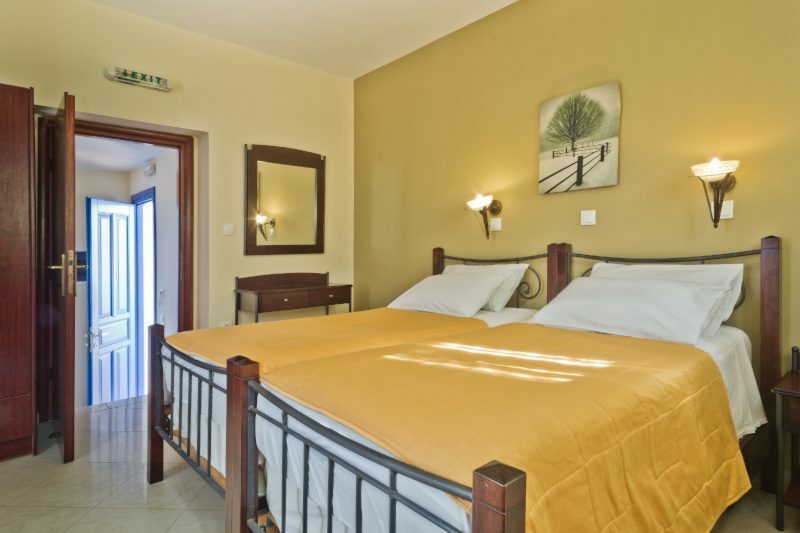 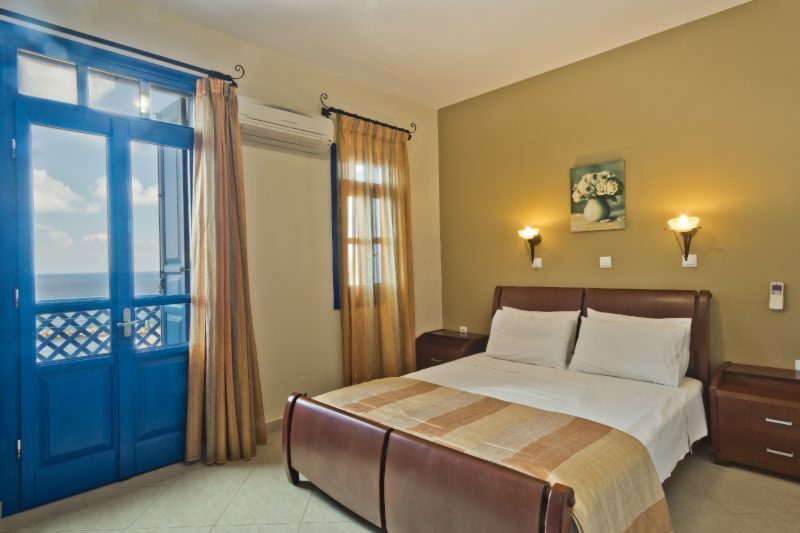 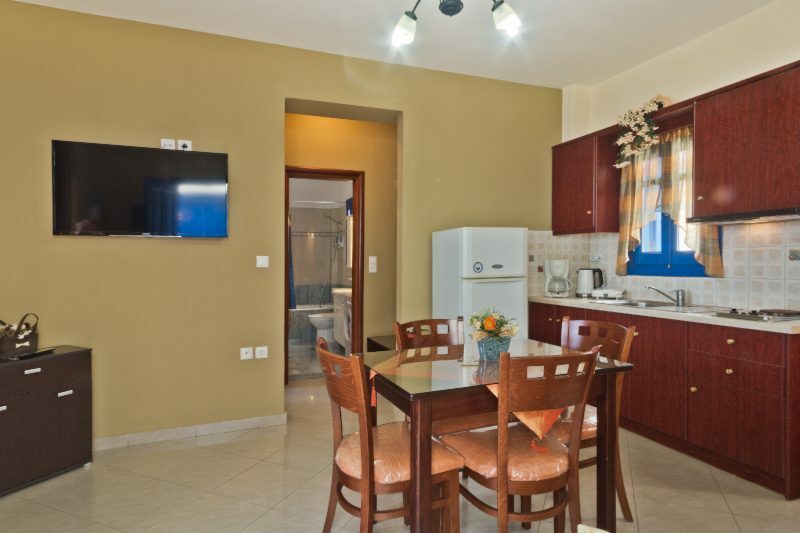 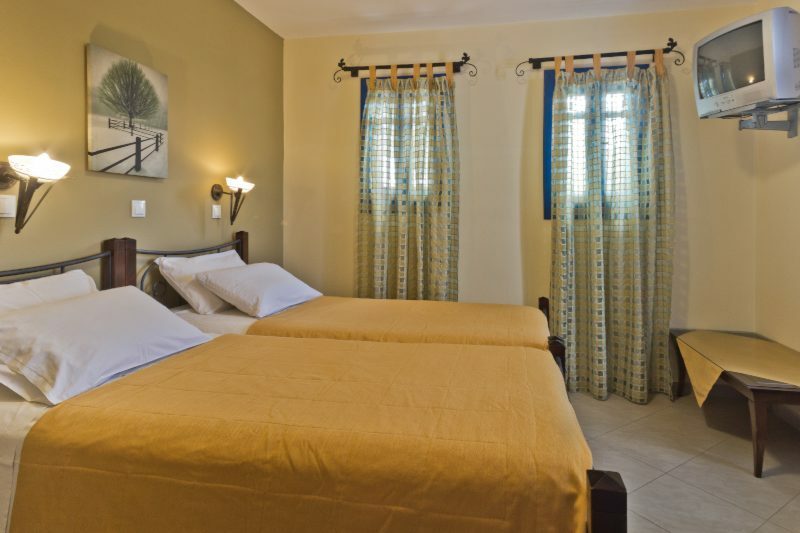 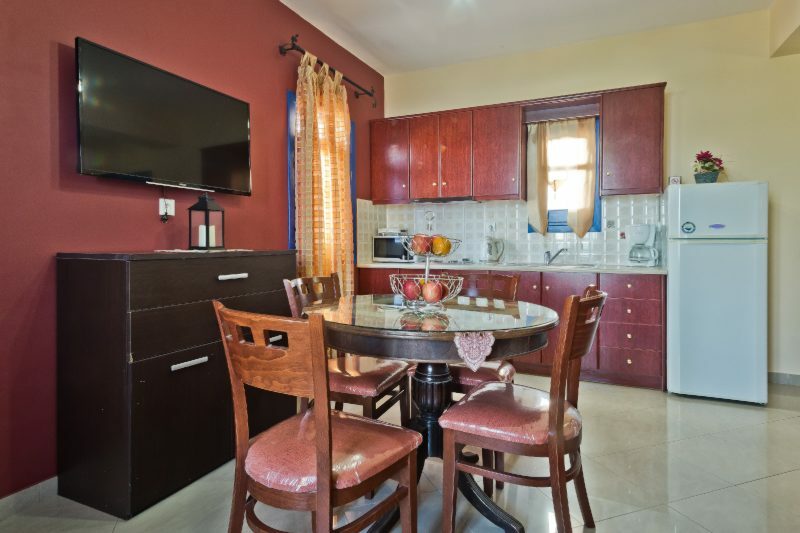 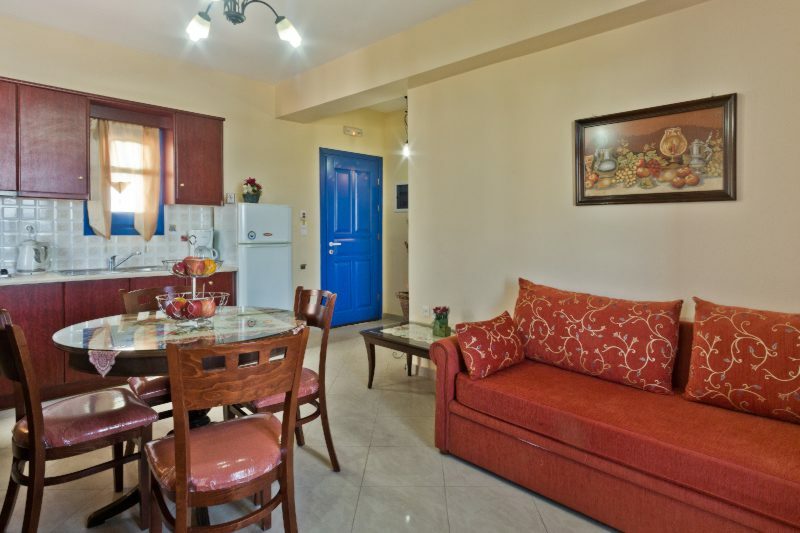 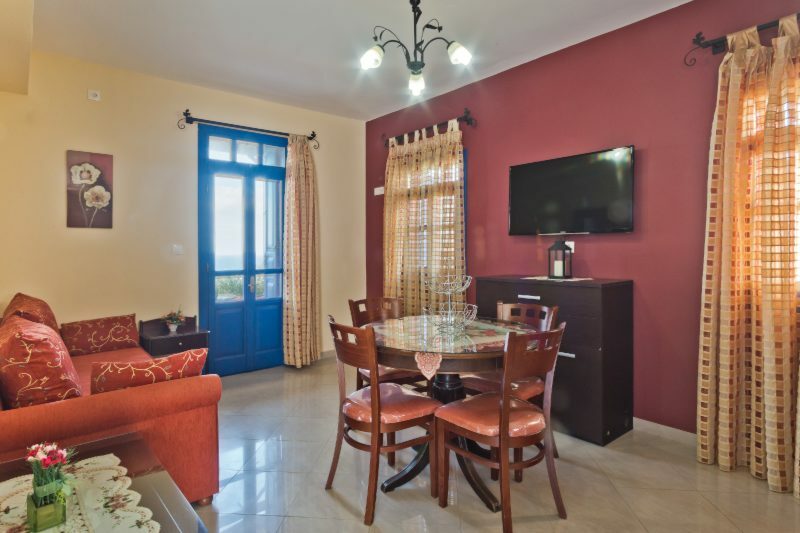 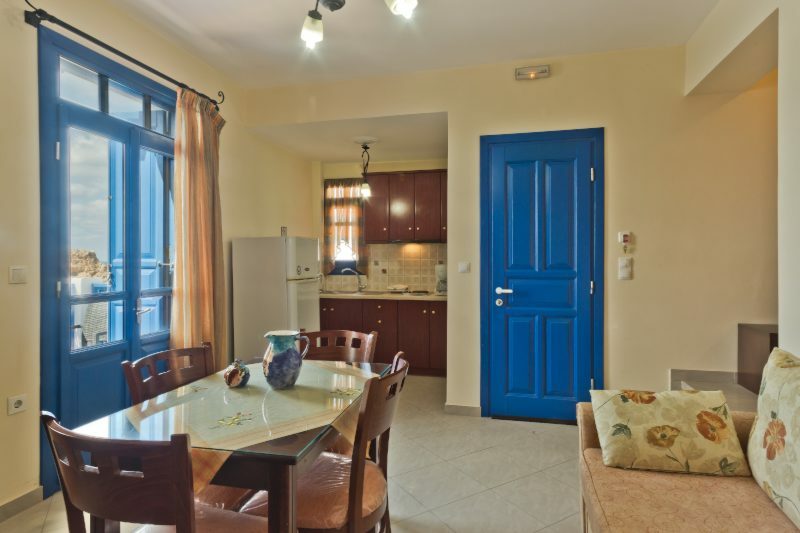 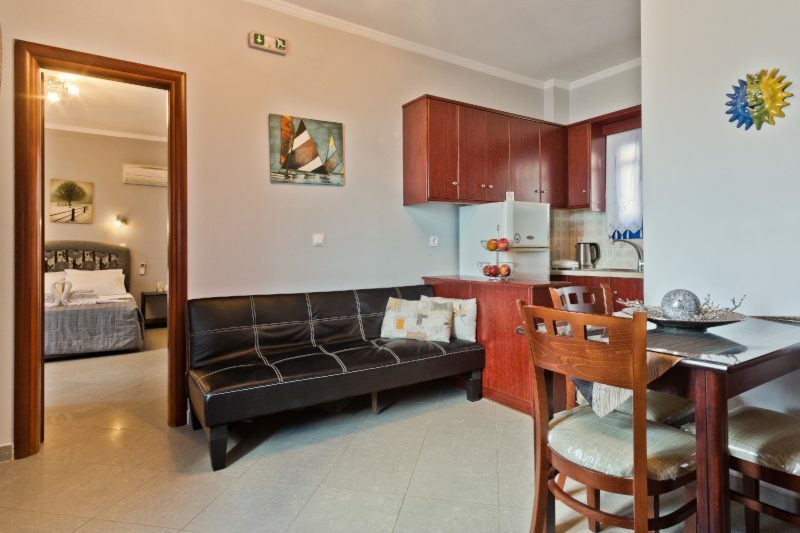 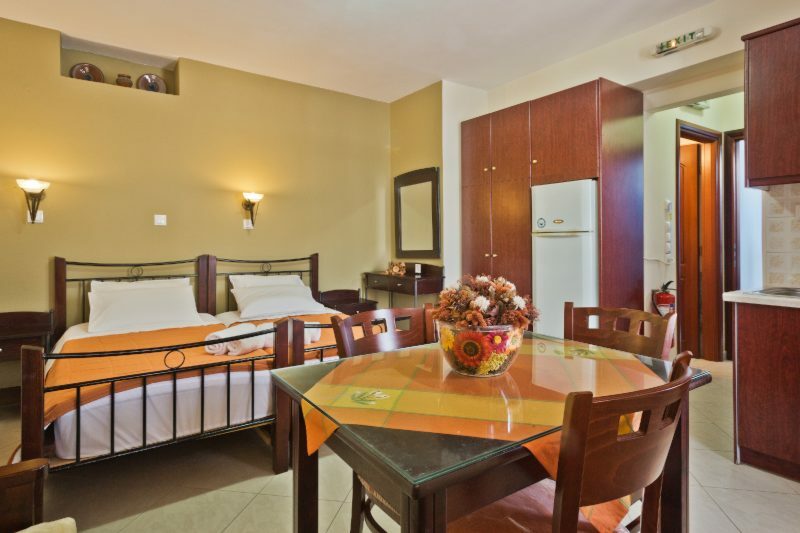 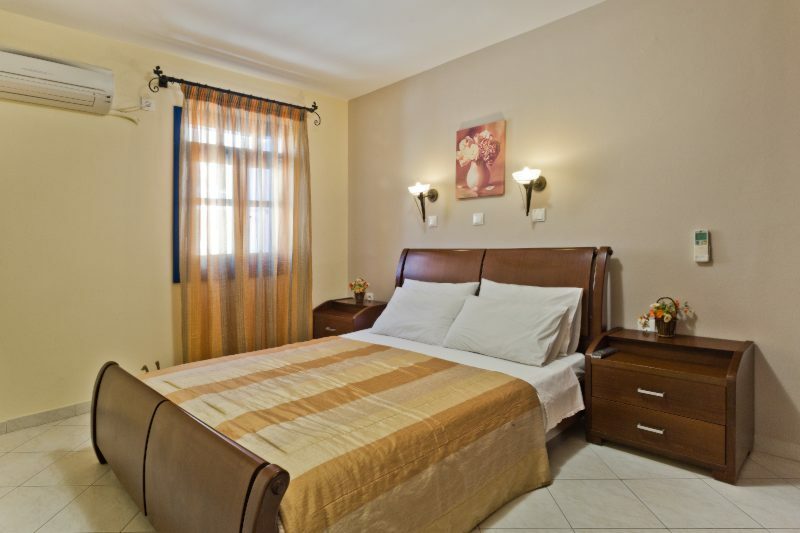 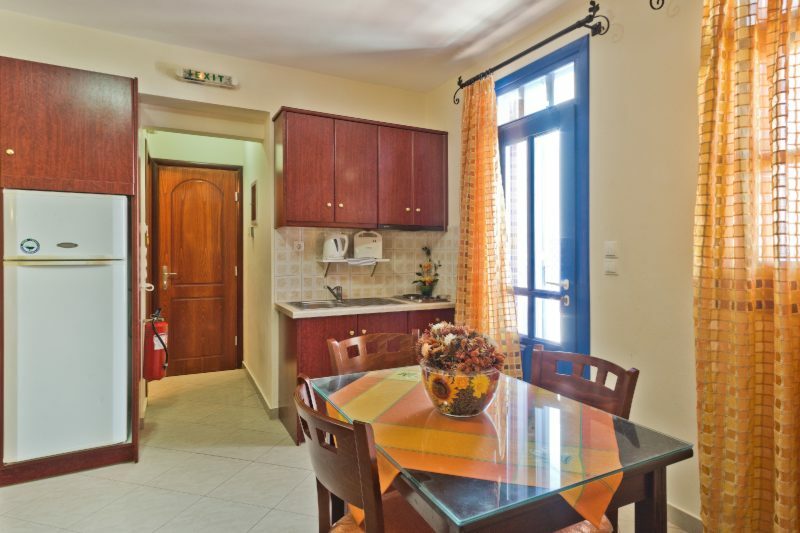 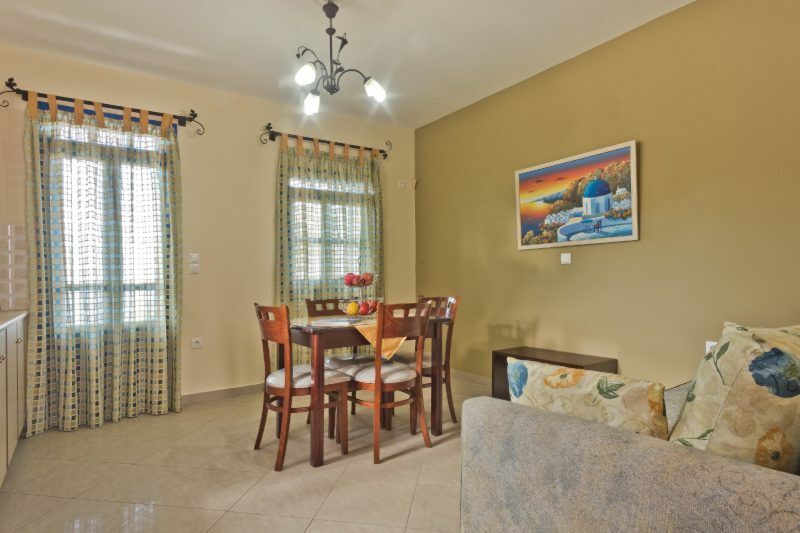 The apartments are suitable to accommodate up to 5 persons. 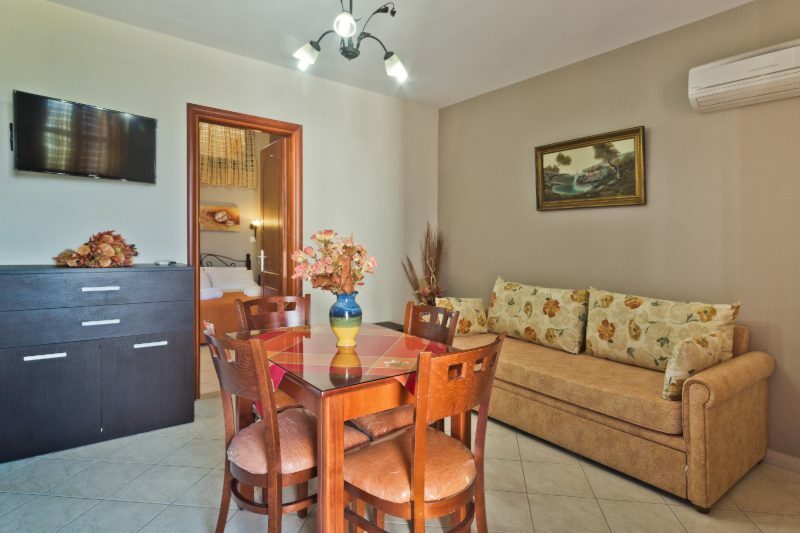 They comprise of separate bedroom and a sitting room. 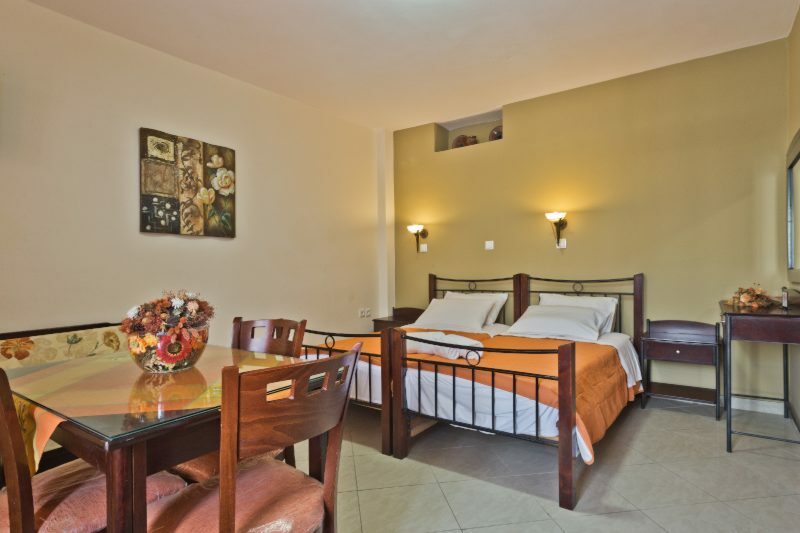 The facilities include air conditioning, yard or balcony, separate bath or shower, bathroom amenities, fax, hairdryer, heating, iron, kitchenette, private bathroom, large refrigerator, kettle, toaster, tea/coffee maker, safety box, free wireless internet, satellite TV, sea and mountain view and seating area. 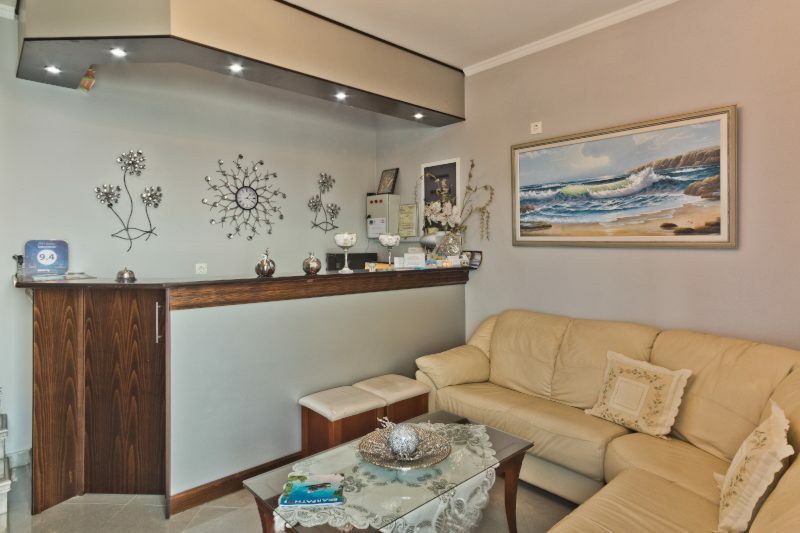 In the sitting room there is a couch with two single mattresses. 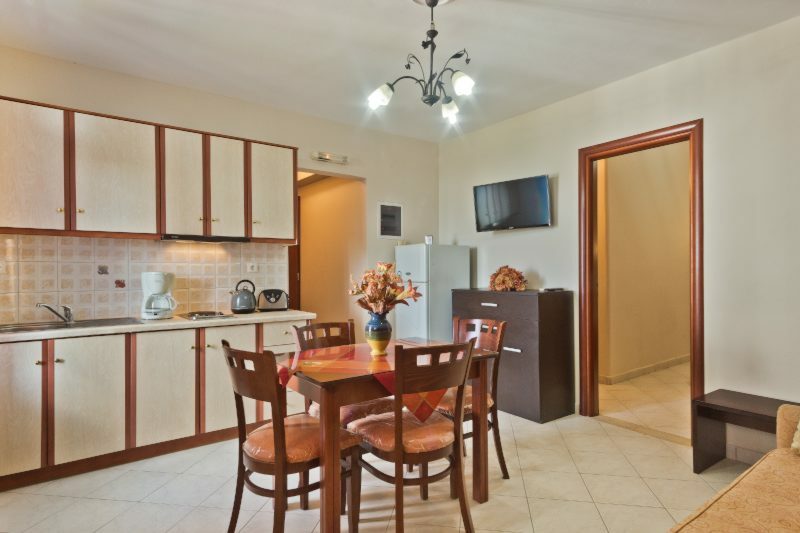 A baggage service is also provided.